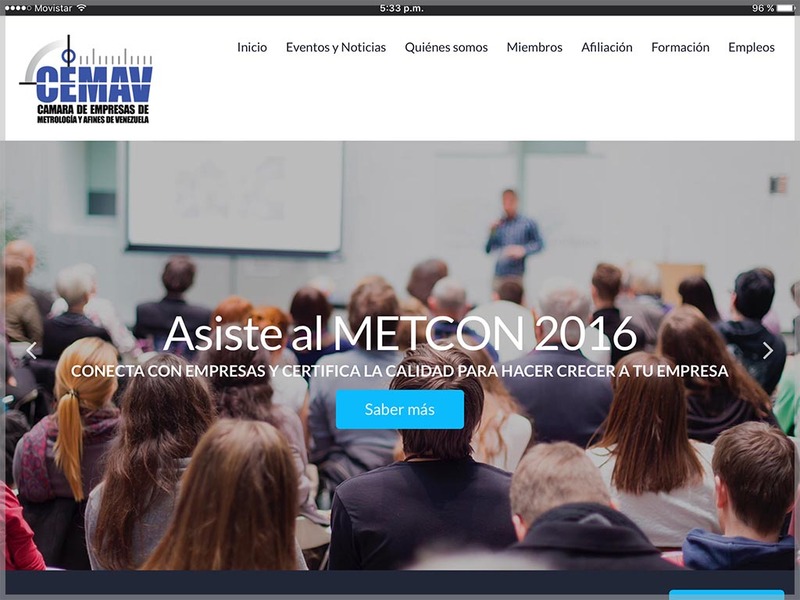 CEMAV, the Chamber of Metrology and Allied Companies of Venezuela, needed a website to serve as an official communication channel for this group of companies. In particular, it played an important role since CEMAV was preparing to hold an event known as METCON 2016, and it was hoped that many business people, entrepreneurs and other interested parties could access valuable information to attend the event. Due to that, special attention was given to the events and news section, although the site was developed with other areas such as courses, business and even jobs directories.